The eleventh sign of the zodiac shows us true individualists. Aquarians are usually glamorous, always friendly, but they are private people who tend to surround themselves with an air of mystery. This is in defence of a specific lifestyle that can lead to conflict when the question arises of deepening an emotional relationship. The ruling planet, uranus, adds a certain eccentricity and unpredictability, which is not easy for others to cope with. 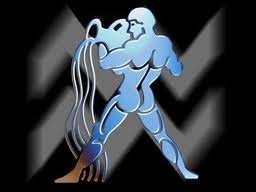 Aquarius is the last sign of the air element and the fourth of the fixed quality. This makes for an enquiring mind, which can ossify once opinions are formed. Like Capricorn, Aquarius does not bestow a generous emotional level. The influence of Venus will help in the expression of feelings towards partners, while Mercury helps reduce stubbornness. Friendly, humanitarian, honest, loyal, original, inventive, independent, intellectual. Intractable, contrary, perverse, unpredictable, unemotional, detached. The tenth sign of the zodiac. Saturn rules the sign and bestows ambition, a need always to do the right and proper thing, and a love of tradition. But Capricorns do have the capacity for enjoyment and always possess a marvellously off-beat sense of humour. This is the third and last sign of the earth element, and the fourth and last sign of the cardinal quality. The practical side of earth combines with an outgoing, expressive quality, giving common sense and the ability to express it in a forthright manner. Capricorn is a sign with a rather low emotional level, but often the pacing of Venus- especially when in either Scorpio or Pisces- will help warm a rather distant Capricorn heart and encourage faithfulness. Practical, prudent, ambitious, disciplined, patient, careful, humorous, reserved. Pessimistic, fatalistic, miserly, grudging, over-conventional, rigid. Imagine a time before television. A time when one could only receive information from books and newspapers, and only much later on, the radio. You could of decided which book, or article, or parchment, or hieroglyph you wished to assimilate. Then came along the trusty television. The thing we all turn to for information and entertainment. But more than anything else, as you may have noticed, advertisements. Love them or hate them is up to the individual, but I know what it is that I like thank you. Now I am communicating with you over the internet. No paper, no trouble, no effort, just reading someones blog entry. How easy is this compared to searching some tomb for a parchment you wasn’t even sure existed? But there were some in the past who wanted, needed this knowledge, understanding and ideas more than anything else and went after it. We can all find many examples of these individuals if we think for a second. So we have come a long way from the printing press. Surely this is a good thing? I can read peoples thoughts and communicate with them anywhere in the world. If they have an internet connection of course. Telepathy is not easily attained. So choose what information you receive wisely. If you want to be happier, try not to watch so much news. If you want to be smarter, read any book. And if you want to get better at some thing. Practice it! Think of your situation in life as always about to go into battle. Everything depends on your state of being, your frame of mind and how you perceive the world. A shift of consciousness can transform life as you know it from negative, to positive. Like many things, this is easier in theory than in the practice that is life. The more clearly you formulate an aim, your aim! The more clearly you will be able to imagine what life would be like if it were so. If this is practiced to a fine art, like I have mentioned in earlier blogs on positivity, and given clear examples of what one can achieve. The the sky is the limit. But you must have a clear and concise aim. You must have an enemy that you wish to wage war against. Is it that body you want? The understanding you want to take from great books and great minds? Or any other thing that one can think of. We are all individuals after all. You want one thing and I want another and this is perfectly fine. Once you have formulated your aim; body, knowledge, understanding, attitude, and on and on. Go and get it! To go to war, to go into battle, is to have a direction in your life. But know that it will not be easily attainable. And this is one thing that I cannot leave out. Learning is not easy, it is much easier to relax. Losing weight and toning up your body, is not easy. It is much easier to sit around and eat rubbish. But this is the key. If you know what it is you want, then anything that helps you is good, and anything that hinders is bad and should be destroyed. Having this direction in your life, it is time to enter into battle! But who will be victorious in this battle can only be decided by you! 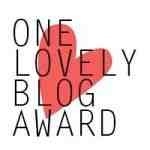 I am honoured and thankful to Paul at http://restinginawareness.com/ for nominating me for another award. To be nominated for an award is a great pleasure and i’m very grateful to Paul, and anyone else who reads my words. 2. I love to spend time with friends in the sunshine, or the rain for that matter. 3. I love blogging, this is a new additions. 4. I cannot wait to meet my child who will arrive in the world later this year. 5. I love to walk, its my profession. 6. I love to laugh. 7. I love living my life in the best way i know! The ninth sign of the zodiac, Sagittarius is the sign of the horse man. It brings a combination of physical strength and energy, with powerful intellect. 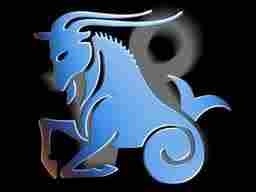 Here is the second ‘dual’ sign of the zodiac. Versatility will be present, and mind and body should act as one. Rest and relaxation come through both. Jupiter, the ruling planet, encourages both mind and body, along with the need for challenge, and Sagittarians must be aware of this. Here is the third and last of the fire element signs, and the third of the mutable quality. The fire burns strong and bright, with lively enthusiasm and an infectious emotional level. It gives the individual the ability to grasp overall situations very quickly. Optimism abounds. 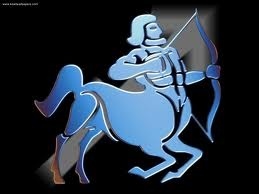 The Sagittarian Centaur is an Archer with a need for room in which to breathe and for a diversity of interests. Sagittarians must always be aware that intellectual and physical stagnation will lead to restlessnes which is their real enemy. While the Sagittarian polar sign, Gemini, is intellectually oriented, there is an accent on the higher mind, which help develop philosophical traits and quells the tendency to take risks. Optimistic, freedom-loving, jovial, good-humoured, honest, straightforward, intellectual, philosophical. Blindly optimistic, careless, irresponsible, superficial, tactless, restless. I will add here at the end. I Lewis Kirk, author of this blog, am a Sagittarius. And to quote from a sentence above; “The Sagittarian Centaur is an Archer with a need for room in which to breathe and for a diversity of interests.” A diversity of interests.. If this isn’t FragmentsOfragments summed up in one sentence, I can think of no better words! Mr. Gurdjieff would not allow anyone to say he acted from kindness, yet it seemed obvious to us that he did. I frequently asked myself what the motives were behind his often unexpected actions. Did they originate from kindness, sympathy, or was there some other inner imperative? Certainly, his motive was not of kindness in the usual sentimental sense of the word. This was especially true in relation to his pupils. No, if it was kindness, it was real kindness that originated elsewhere. the source of his actions, words, and outlook on everything could only be described as something called love. It was not a personal feeling for another, but rather one that came from somewhere else. And this included his relations with his pupils. In other words, it was an opening to a sense of the sacred that he shared with others. This was quite distinct from his legendary generosity, his kindness in the ordinary sense of the term, of which we caught comical and unforgettable glimpses nearly every day. Since I was often with him at different times of the day, I saw in an intimate way aspects of his life that most of his pupils, who only attended the evening groups, never knew about. I have often spoken of his kindness toward me, but now I want to recall some events I chanced to witness. Mr. Gurdjieff often did his own shopping when he took his morning stroll. As soon as he returned, he started working in the kitchen. During this time, he would not receive any of his pupils, and the door opening to the main staircase remained closed. It was quite another story, however, at the back staircase. One had to see it to believe it: from the bottom of the stairs to the top, there was a long procession of beggars, parasites, and the like. One had his bowl, another his tim plate, still another an old pot, all coming solemnly to receive a full ration of soup accompanied by some kind words. Mr. Gurdjieff himself served from enormous cooking pots while asking after the health of everyone, not forgetting those who could not come because of illness. When he found out that someone was sick, he would say, “Well, now let’s give him something special!” and, according to the latest information he received about him, he would fill the container with some dish or other that he had prepared. Here was an old woman who came for herself and also for her husband, who could no longer walk; there, an undernourished and sick man who said he was unable to work; then children from a large poverty-stricken family; and the concierge from a neighbouring building, who had looked after a bedridden tenant on the seventh floor for a long time. This scene was repeated every morning, the procession usually ending about one o’clock, sometimes only to start again in the evening. Mr. Gurdjieff also prepared enormous quantities of food to share with his pupils and others who regularly frequented his apartment. His table was a veritable cornucopia, for no day passed without parcels of food arriving fro all over the world; the south of France, Spain, Turkey, Australia, the Americas, and even Africa. Yet, if there was no one to eat with, he would often choose not to eat at all. As for the children, Mr. Gurdjieff never left home without filling his pockets with a good supply of bonbons and various sweets. When he came across a mother with her child, he always offered a bonbon to the little one. If the child offered it to his mother, he gave him two more. But if the child did not offer anything, that was all he received. If the mother hid the sweet to give to the child later, she was offered more too. In the district where he took his regular walk, he was well known to all the children and those who accompanied them. He was a kind of father christmas, and was called ‘Monsieur Bonbon’. The reader may be irritated by what appears to be a blind attachment and unreserved partiality on my part. If so, please excuse a devotion that may seem excessive. One has to imagine how living near him shattered all habitual forms; one found oneself literally entering into the world of myth. We all experienced this same feeling. After Mr. Gurdjieff’s death, I witnessed many touching scenes. For example, an old woman came to the appartment about three weeks later. Overcome by the news that he was no longer there, she could only say, “And now, how shall i pay my rent?” Someone else came and said, “I would so much have like to thank him. He paid for my daughter’s treatment, and she has just come out of the sanatorium, cured.” After hearing of Mr. Gurdjieff’s death, one man collapsed into an armchair, remained silent for ten minutes, and then murmured, “To come from South Africa and learn this. How sad.” And then he left.